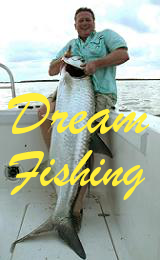 Exclusive fishing as guests on the owners boat, which will be fully explained as will the various fishing methods. At the end of the stay, the car is dropped off back at Miami airport or can be dropped off anywhere in Florida if the the party is moving on. Non fishing trips and nights out, to be individually priced. £750 non refundable deposit per booking per week (on booking). Balance due twelve weeks before arrival. All extras to be paid in full at end of holiday.